Uber Technologies filed for an initial public offering, starting the clock on what is expected to be the biggest U.S. listing this year. Uber has 91 million users, but growth is slowing and it may never make a profit, the ride-hailing company said in the filing. The document gave the first comprehensive financial picture of the company which was started after its founders struggled to get a cab on a snowy night. The filing underscores the rapid growth of Uber's business in the last three years but also how a string of public scandals and increased competition from rivals have weighed on its plans to attract and retain riders. 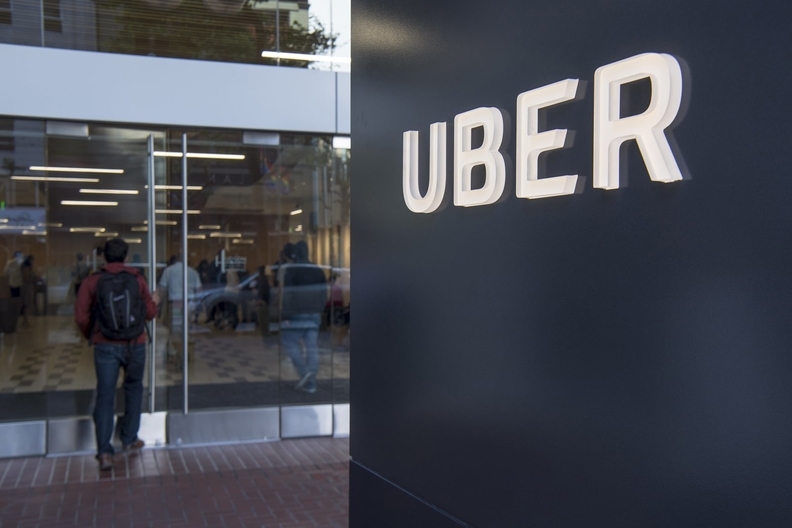 The disclosure also highlighted how far Uber remains from turning a profit, with the company cautioning it expects operating expenses to "increase significantly in the foreseeable future" and it "may not achieve profitability." Uber, which has previously made public some of its financial results, generated net income of $997 million in 2018 on revenue of $11.3 billion, though operating losses totaled $3.03 billion, the filing shows. That compares to a net loss of $4.03 billion in 2017 on revenue of $7.9 billion, the filing shows. The long-awaited filing gives potential investors their first look at hundreds of pages of detailed information about Uber, which was founded in 2009 and has had a winding road to the public market. Uber, which is seeking to raise about $10 billion in its IPO, according to people familiar with the matter, plans to kick off a road show to market shares to potential investors this month and would begin trading publicly in May. The offering is expected to be the largest U.S. IPO this year and among the 10 largest of all time on U.S. exchanges. Uber’s global reach distinguishes it from rival Lyft, which operates in the U.S. and Canada. Uber has also been reaching beyond the ride-hailing business, pitching investors a broader business that includes food and freight delivery, scooters, electric bikes and even flying cars. Still, the company is reliant on its core ride-sharing business for the vast majority of revenue. In the fourth quarter of 2018, Uber generated $2.54 billion in adjusted net revenue, with $2.31 billion of that coming from ridesharing. Only $165 million in net revenue came from Uber Eats. Uber’s filing follows rival Lyft’s $2.34 billion IPO in March, which is the biggest U.S. IPO so far this year. Lyft increased the number of shares that were sold and priced them at $72 per share -- the top of an elevated range -- then watched as they jumped 21 percent at the opening bell. Since then, the stock has fallen to $61.01 per share, sinking its market value to $17.4 billion. One advantage Uber will likely seek to play up to investors is that it is the largest player in many of the markets in which it operates. Analysts consider building scale at a critical mass a crucial order for Uber's business model to become profitable. In addition to questions about its finances, Uber CEO Dara Khosrowshahi will be tasked with convincing investors that he has successfully changed the company’s culture and business practices after a series of embarrassing scandals over the last two years. Those have included sexual harassment allegations, a massive data breach that was concealed from regulators, use of illicit software to evade authorities and allegations of bribery overseas. Khosrowshahi joined Uber in 2017 from Expedia to replace company co-founder Travis Kalanick, who was ousted as CEO.